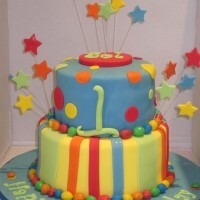 Two Tier M&M's Birthday Cake with traditional Victoria Sponge. 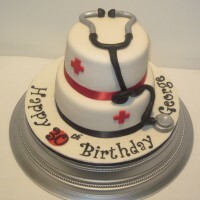 Two Tier Doctor Birthday Cake with Victoria or Chocolate Sponge. Available in an 8 inch and 6 inch round shape. 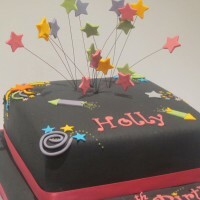 Single Tier Fireworks Night Birthday Cake with Victoria or Chocolate Sponge. Available in a 10 inch square shape. 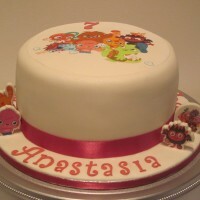 One Tier Moshi Monsters Birthday Cake with Victoria Sponge. 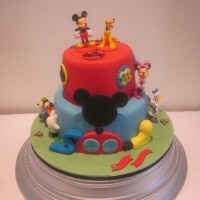 Two Tier Mickey Mouse Clubhouse Birthday Cake with Victoria Sponge. 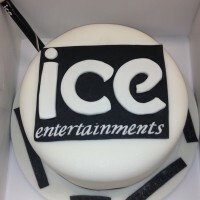 One Tier Ice Entertainments Company Logo Birthday Cake with Victoria Sponge.